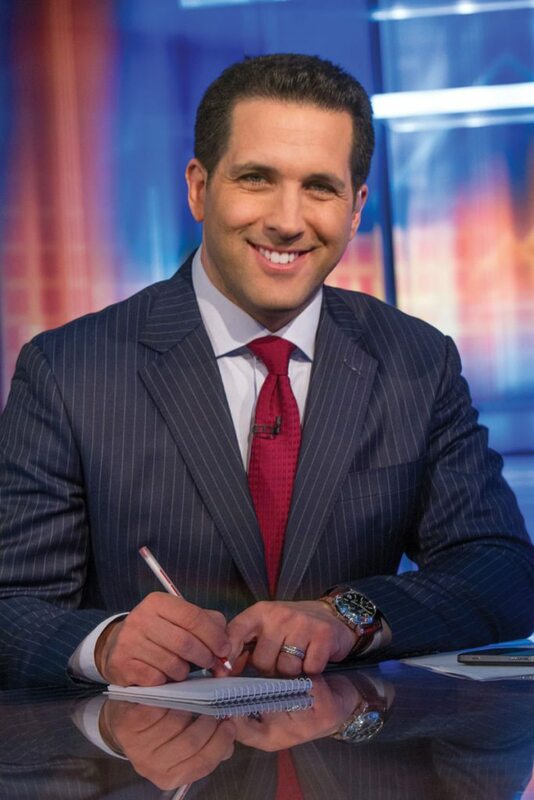 As one of the most trusted sports analysts in the country, ESPN’s Adam Schefter would have you believe that behind the camera, he’s just a regular guy, and fame and celebrity haven’t changed who he is. That the journalist he was on the South Shore is just as normal as the NFL analyst he is today on the North Shore. And he’s right; he is that modest. 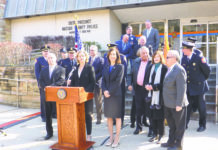 Schefter grew up in Bellmore and loved every minute of his childhood on Long Island. 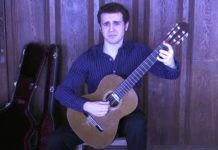 He attended the University of Michigan for his undergraduate degree before attending graduate school at Northwestern University. Schefter moved back to New York from Denver in 2006, and was living in the city when he met his future wife, Sharri, who lived on the North Shore. 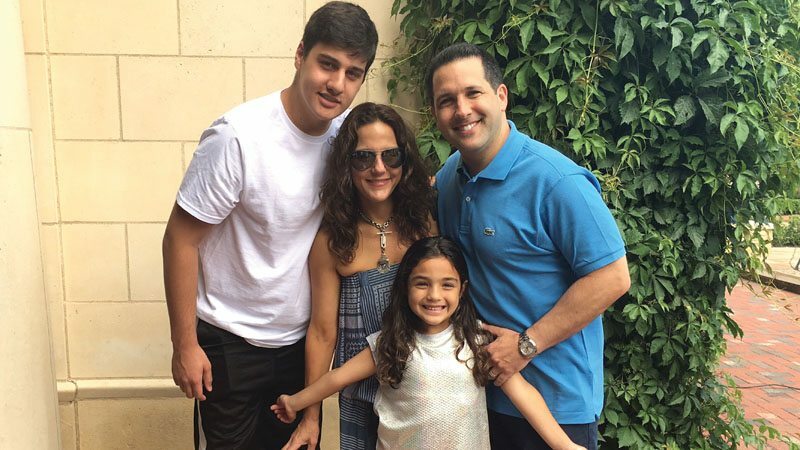 Of his simple life at home, Schefter enjoys spending a lot of time with his family, which includes his wife, teenage son Devon, 8-year-old daughter Dylan, and four labradoodles—Maggie, Ella, Bailey and Benny. His favorite dining spots on the North Shore include Bryant & Cooper, Toku and Abeetza Pizza on Glen Cove Road, which he religiously orders from. Now, Schefter is busy breaking the latest NFL news in Bristol, CT, several times a week, but years ago, it was a job he never thought could be his. When he got to college, Schefter tried to get involved in a variety of teams and organizations, but found it hard to find his comfort zone. When a fraternity didn’t accept him, he sought out the football and basketball offices to see if they needed help with equipment. When they told him no, the next door that opened was the student newspaper. On the first article he ever wrote, Schefter vividly remembers being scared to volunteer for one at the student paper. Not only did Schefter discover journalism by accident, he also found football by chance as well. While in Denver, after an internship and spending two years sending out résumés, Schefter wanted the chance to cover baseball as Colorado was getting a baseball team. Some didn’t think he was qualified, so they put him on the football beat instead. “Growing up I loved all sports; the Islanders, Knicks, Jets and the Yankees, but I wish I had enough foresight to see how popular ESPN and fantasy football would become,” he says. Schefter at work at ESPN. Fortunately, three men in Schefter’s life did have the foresight to see how much of a mark the native Long Islander could have in the industry. “I was Mitch’s research assistant. I idolized him in college and got to work for Mitch my in my senior year,” says Schefter, who helped with the book The Fab Five. Among his many accolades, the sports analyst and author launched a podcast in January called “Know Them From Adam,” featuring lengthier interviews. 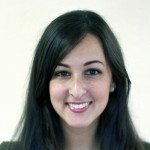 “The podcast is my chance to interview people and really get more personal about lessons they’ve learned and advice they’ve given,” says Schefter, who has so far spoken with Dallas Cowboys owner Jerry Jones, ESPN senior NFL analyst Chris Mortensen, former Dallas Cowboy Troy Aikman and musician John Legend. In 2016, Schefter got the chance to be a part of something that is not only very close to his heart, but his family’s as well when ESPN produced a special segment about September 11, 2001. The special featured Sharri, who opened up about losing her first husband Joseph Maio in the terror attacks, leaving behind 2-year-old Devon. Schefter narrated the special. 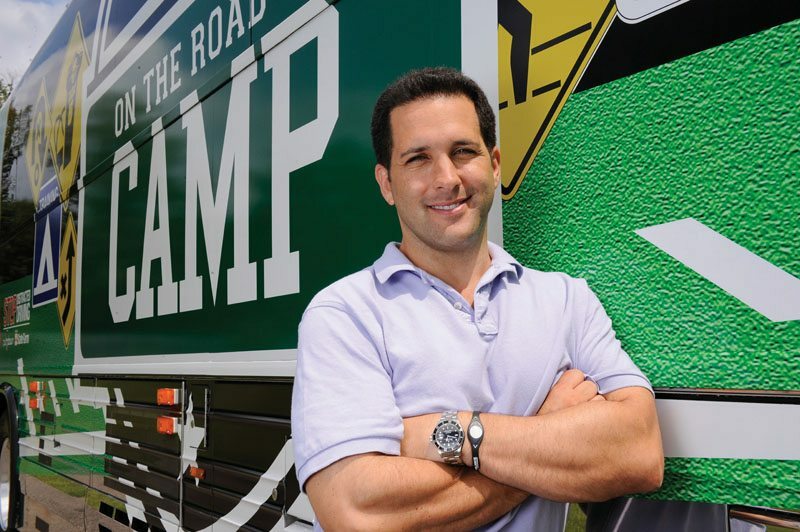 With a book on 9/11, ESPN and his podcast, Schefter always finds time for philanthropy. His wife is a Type 1 diabetic, and Schefter does a lot of work for JDRF, a charitable nonprofit dedicated to funding type 1 diabetes research. From the South Shore to the North Shore, Schefter says he never set out to build a reputation, but simply tries to work hard every day.